12.26.11 MuttMania continues on winter vacation. The next market in Eagle Rock will be on Friday, January 6th, 2012. 11.01.11 It’s Tuesday & I’m regaining my strength. Yesterday was 10.31.11 Halloween, I showered, slept, played with Chazz and stayed in until going to dinner with family. Just plain worn out! And Sunday 10.30.11 was the Haute Dog Howl’oween extravaganza in Long Beach that MuttMania has been preparing for and anticipating for about a month! See the “front page” on this blog, for my full post; but over here I would like to list my Thank You’s to all those who helped get MuttMania to this event. It was a lot of hard work, but it was great, good fun! ChazzTheDog,Wanda,Drew,”Uncle”Bill,NancyN.,MarkS.,MicheleD.R., JasonY., KimS.,the event volunteer kids @ the LB Haute Dog Parade,Jewels, the various vendors I got all my great products from who made sure I got delivery on time!!! Thank you to each & every one of you for your continued help & support. 10.7.11 As we finish off the first week of October thoughts turn to the upcoming howliday season. It will be here before we know it. MuttMania continues to have a booth at both of the Eagle Rock Farmers Market, as well as the Silversun Farmers & Artisans Market, both located in Eagle Rock. The former Friday’s from 4:30 -8:30 PM and the latter Wednesday’s from 4:00 – 8:00 PM. On Sunday, 10.30.11 MuttMania will be a Vendor at the Long Beach Haute Dog Howl’oween Parade 2011. If you’re not familiar with this event, go to my HOME page and watch the video of 2010’s festivities. This is a terrific event, raises money for worthy causes, and is just plain fun. If you are in the Southern California area, have children or dogs or both you might want to come check it out. Costume Parade, Prizes, and a Vendor Fair will all be happening that afternoon. Go to Haute Dog Howl’oween Parade for all the details. 9.24.11 MuttMania will soon be selling those yummy dog treats I’ve been giving away to my 4paw customers..PawtyTimeTreats Peanut Butter & Carob. See the Product Review tab for a full review. 9.22.11 MuttMania had a fun market last nite! Thanks to friends Flo & Bob, and Elkie for stopping by & generously supporting us. Chazz & I hope you enjoy the fun stuff you purchased. Come back again anytime. Still working on taking part in the Haute Dog Howl’oween Parade in Long Beach, on 10.30.11. Will be blogging the results as soon as they are available. This is very exciting, as this parade is an annual event, and one of the largest dog parades held anywhere!! 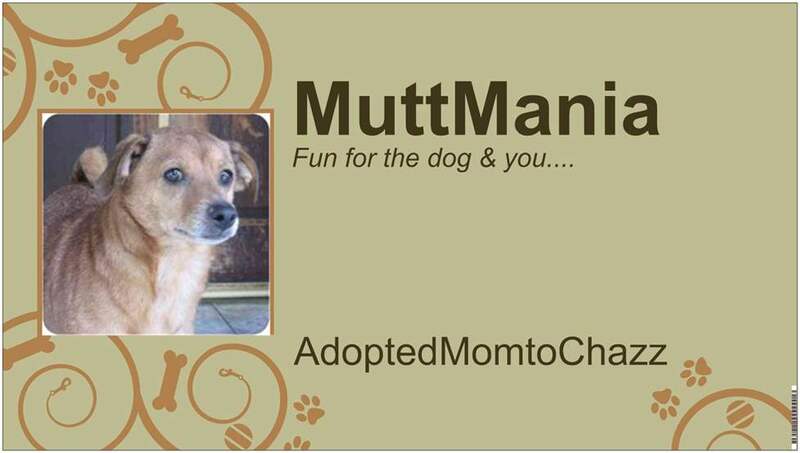 Check back here to find out all the latest happenings with MuttMania. The ups & downs of being a vendor in the run run world of Farmers Marketing. The foot traffic, the selling, erecting the tent canopy, the other vendors. Location, location, location, it’s not just true in Real Estate. 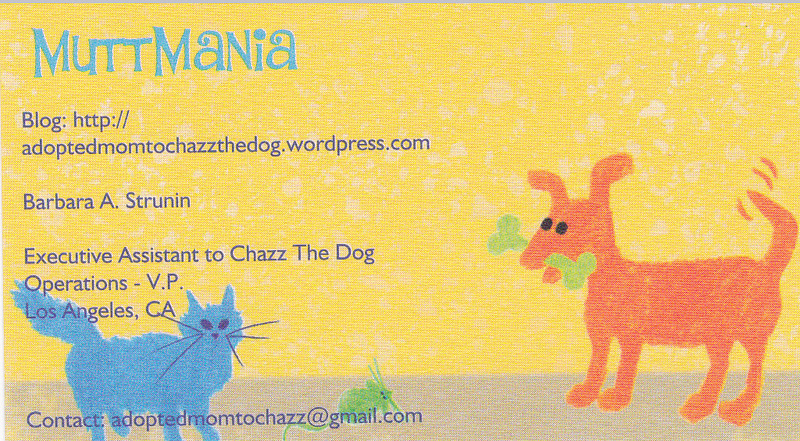 MuttMania will NOT be at the Silversun Farmers & Artisans Market on Wednesday, from 4-8 PM on 9.28.11. Next date is on 10/05/11. this market happens alongside Target at the Eagle Rock Plaza @ Colorado Blvd. We will continue at the Eagle Rock Farmer’s Market, Friday’s from 4:30 pm – 8:30pm. It is held across from the Library at Caspar & Merton. Next date is 9/30/11. Howl’oween themed goodies coming in….and then on to XMAS & Chanukah! eep this page updated with MuttMania’s schedule of markets & dates.